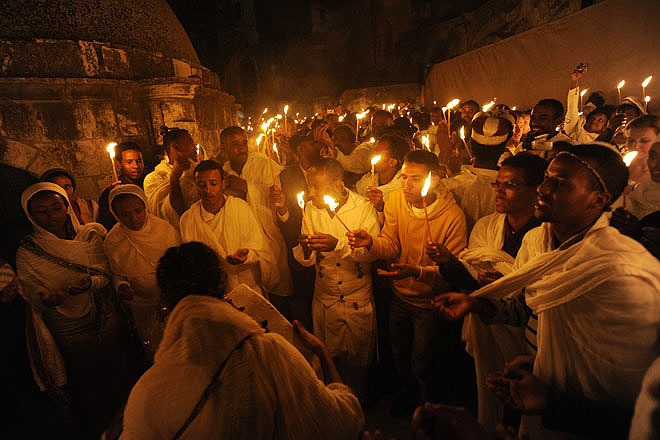 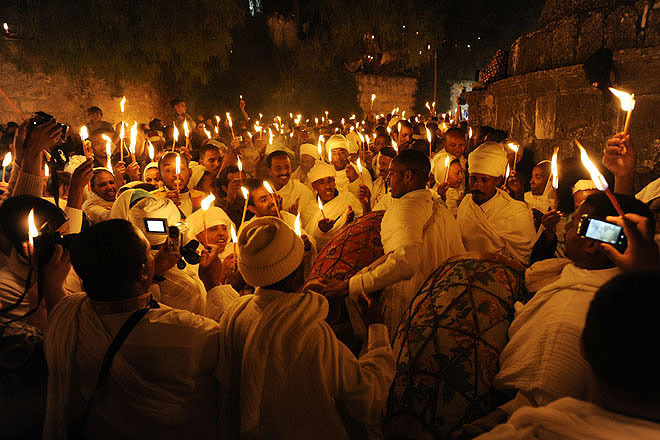 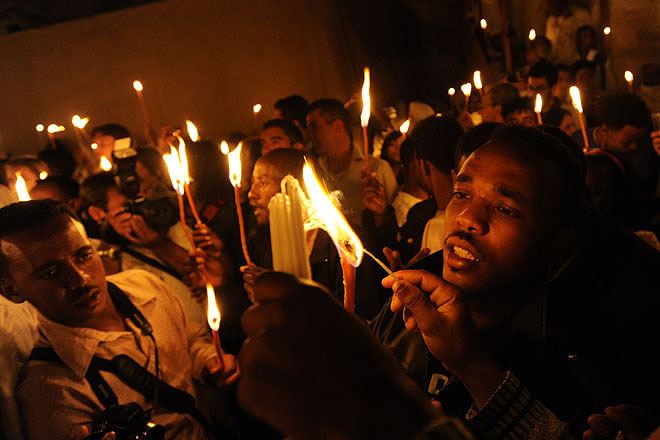 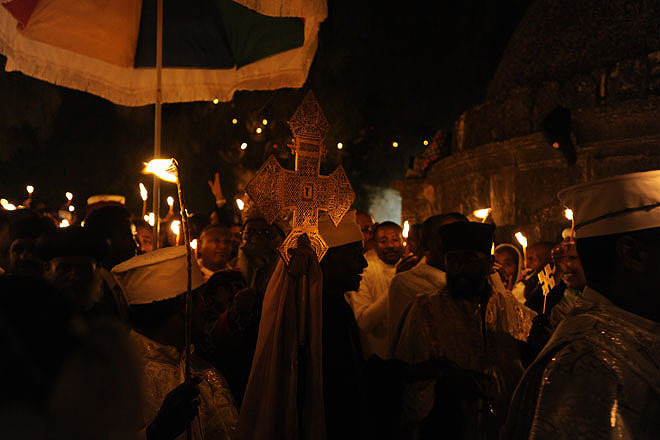 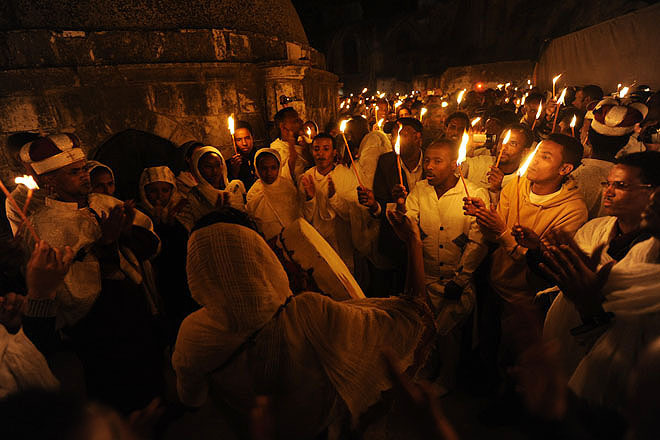 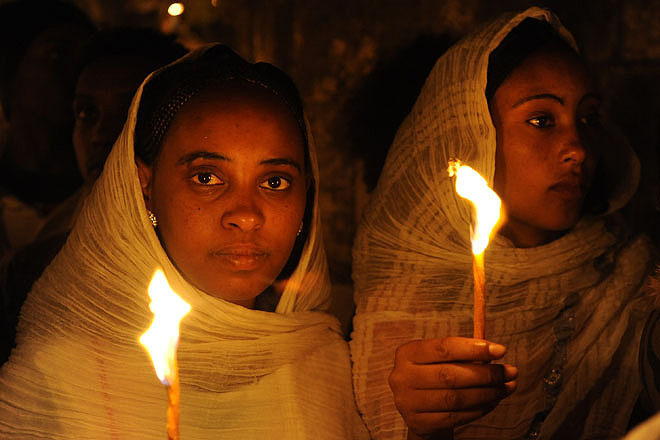 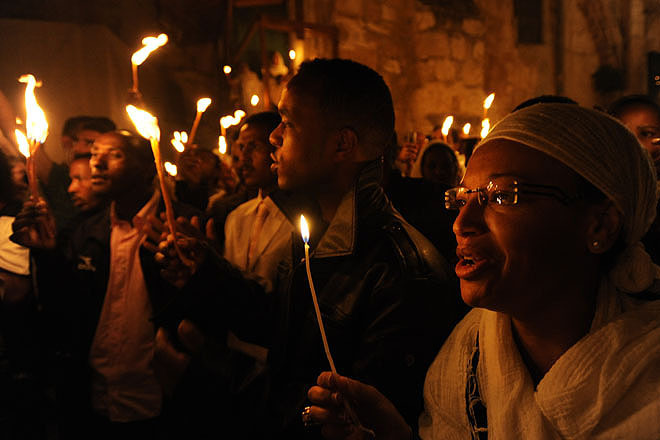 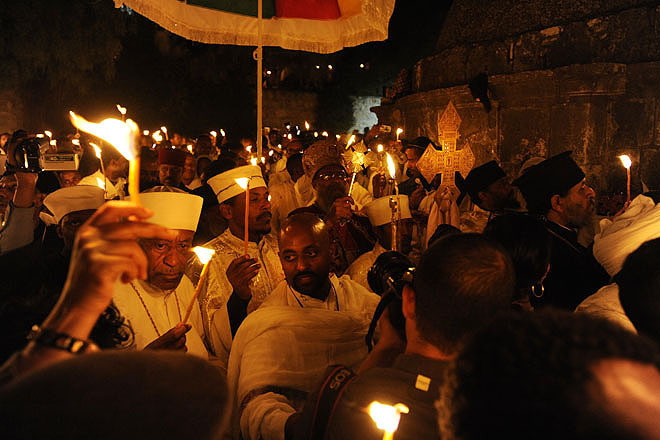 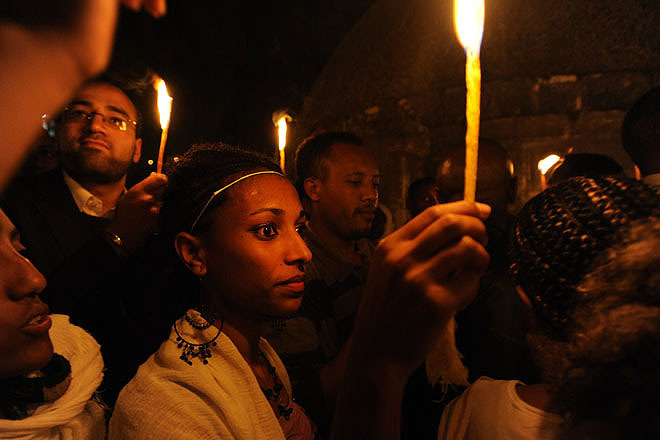 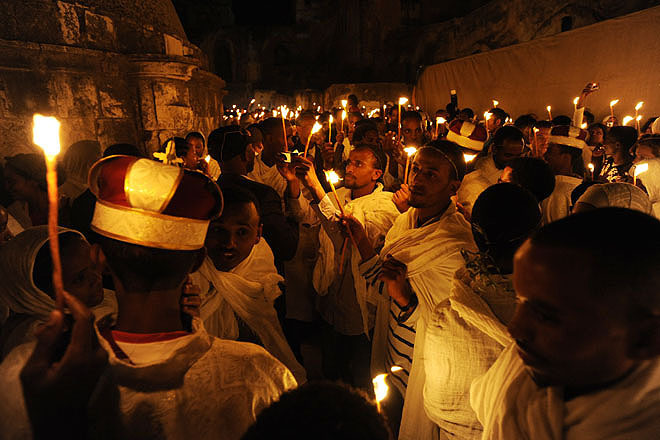 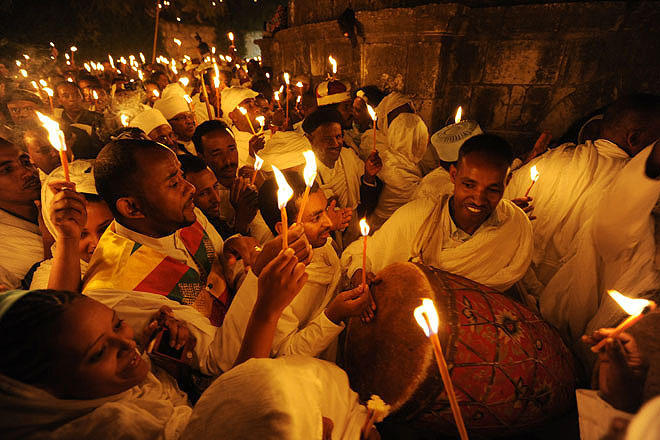 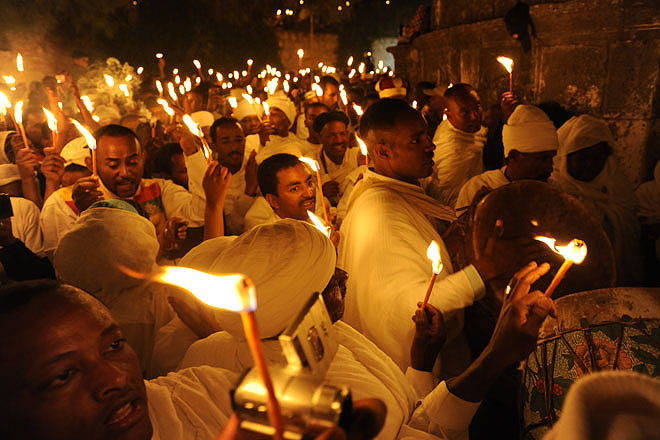 Easter Celebration in the Ethiopian Monastery on the roof of the Holy Sepulchre. 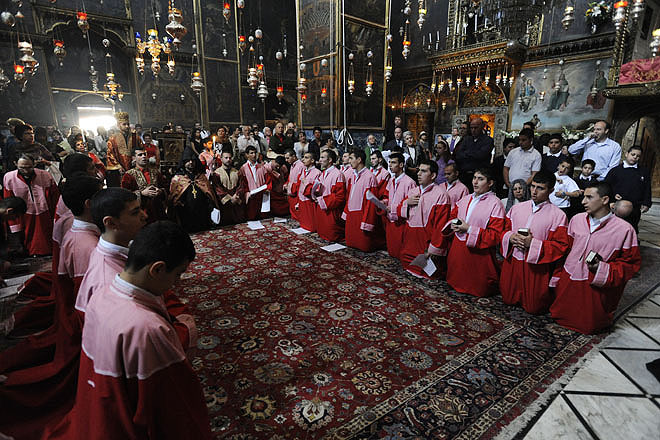 Service for pilgrims in St. James’ Armenian Cathedral. 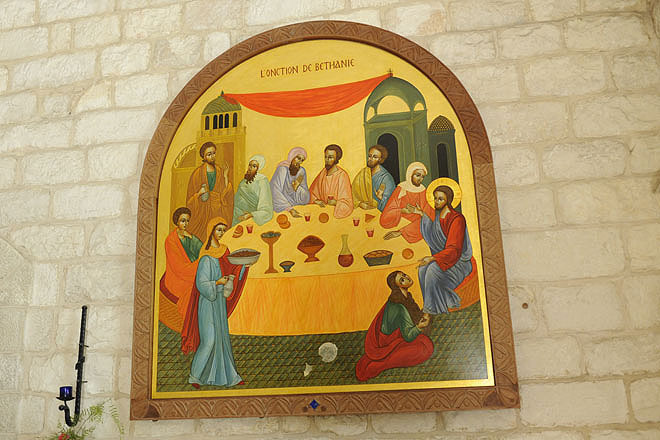 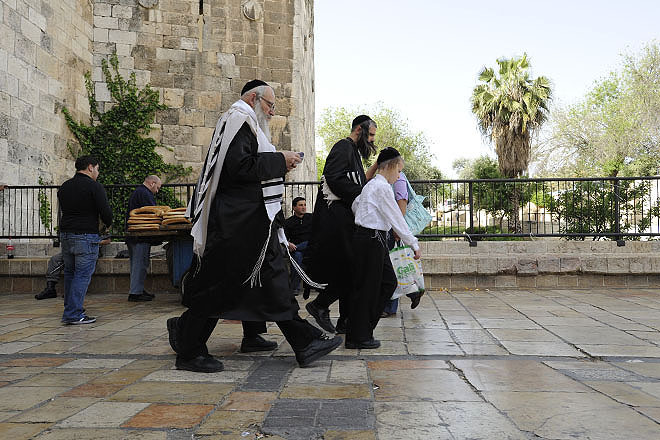 The Benedictine monastery on the Mount of Olives. 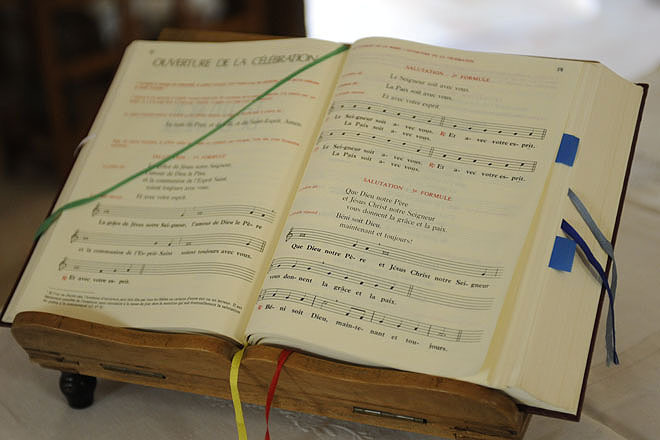 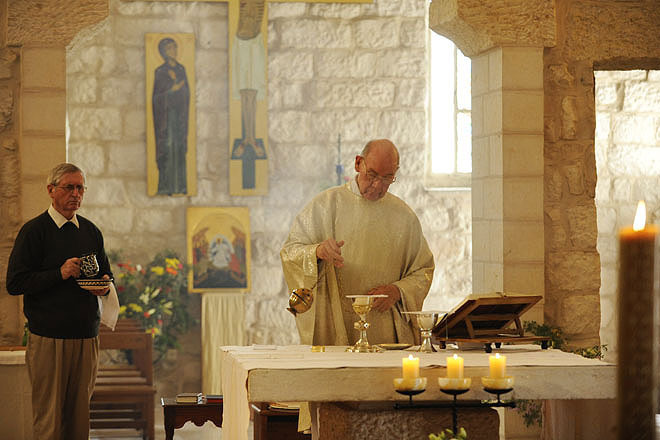 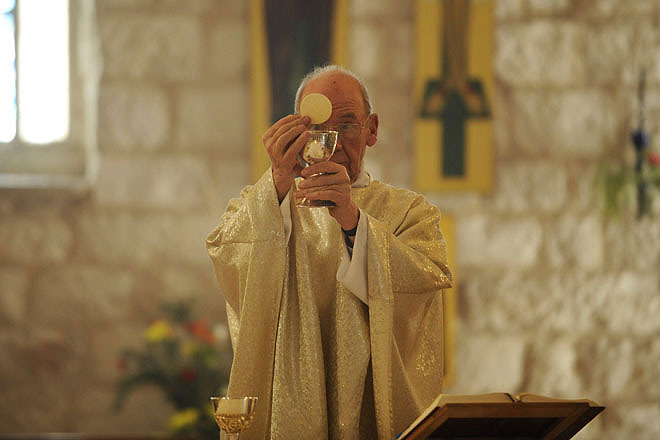 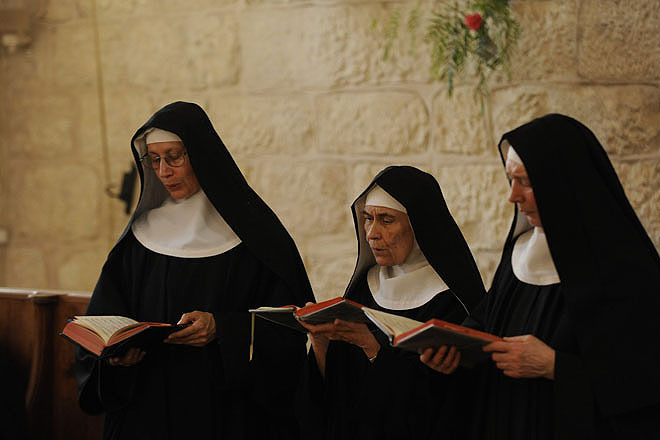 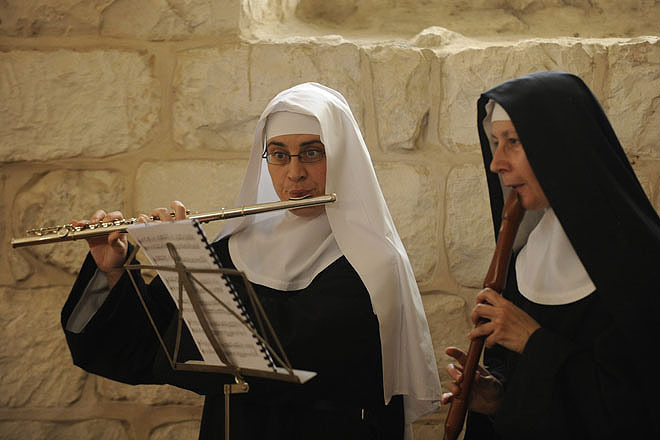 Easter mass in the Benedictine monastery on the Mount of Olives.